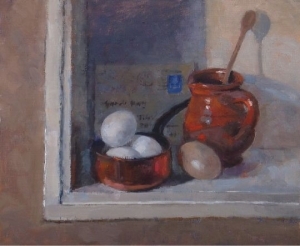 Pamela Kay is one of Britain’s foremost painters of still life. Inspired by Dutch, French and Spanish Masters of the 17th and 18th Centuries, Pamela Kay’s paintings reflect her interest in the beauty of humble everyday objects and their unassuming nature. 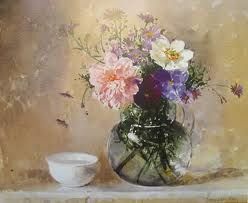 Her work encompasses not only flowers and still life but also interiors and gardens. Learn more about Pamela Kay. Born in 1939, Pamela worked as a freelance textile designer after graduating from the Royal College of Art and Canterbury School of Art. In 1983, Pamela turned to painting full time and has exhibited throughout her long and distinguished career. Pamela Kay has exhibited regularly at the Royal Academy Summer Exhibitions since 1959, and her work has been shown in galleries across the country. Currently, she regularly exhibits work at the Royal Watercolour Society, Bankside and the RBA and NEAC Exhibitions at the Mall Gallery, London. In 1984, she was made a Member of the Royal Society of British Artists, followed by membership of the New English Art Club in 1985 and of the Royal Society of Watercolour Painters in 1986. 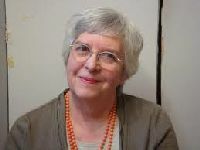 Her work is in Royal and International Collections. She works in oils and watercolour, and occasionally in pastel. She combines a consummate artist’s eye with the knowledge of an expert plantswoman. Her still lifes display her lightness of touch, her mastery of colour and composition, and the quality of her draughtsmanship. 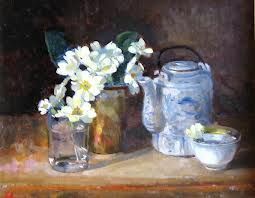 Pamela has many publications to her name amongst them, book illustrations, a DVD in 2008 ‘Aspects of Flower Painting in Oils’, and an instructional book which she wrote and illustrated, ‘Gouache, A Personal View’ . She travels extensively, painting in watercolour, and has worked in the Far East, the Mediterranean and the Baltic. Pamela is an excellent teacher – helping you select suitable painting subjects, giving lots of individual guidance and advice, as well as plenty of group demonstartions. Pamela loves painting indoors so she always tries to do some interior workshop as well as still life. She was enthusiastically received as guest artist on painting trips to Tuscany, Venice, Normandy and the Loire. We are thrilled and look forward to working with Pamela again.